Real Estate Mega Team Located at 11 Public Sq E. in Jacksonville, AL. Amy began selling real estate 1997. She has had a long family history in Calhoun County and in the Real Estate market. She is passionate about her job and the people that she works with. Amy helped begin the Keller Williams in Calhoun County with other Top producers and is very proud of the company. Annette Maddox joined the Amy Angel Team in 2015 and has quickly become a great agent for her clients and wonderful member of the team. She works most of our buyers and is well experienced in the Calhoun County Market. 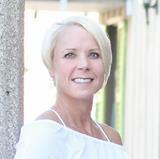 LeAnne Vice was invited to join the team in 2013 after working in real estate sales and administration. She works with buyers and sellers to assist with the steps to begin the process or buying or selling. "Great Experience! Amy is top notch and made selling my house a breeze! She stays in touch with you so you know what is going on all the time. Give her a call for your real estate needs.... you'll be glad you did!!"